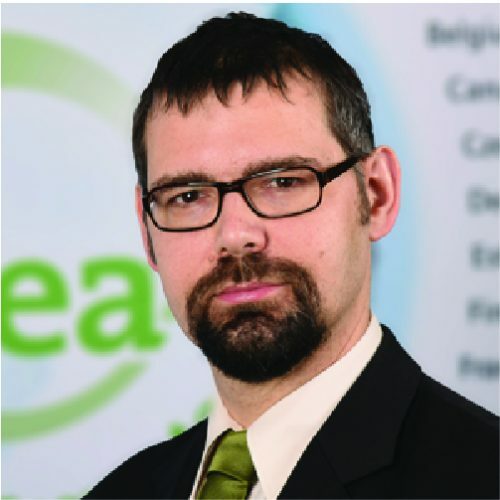 Laszlo Varro, who has worked at the IEA since 2011, became the Agency’s Chief Economist at the start of 2016, succeeding Fatih Birol, who took over as IEA Executive Director on 1 September 2015. As Chief Economist, Mr. Varro leads the Economics and Investment Office (EIO), a newly created group within the IEA that aims to offer sound and consistent energy economics and methodological support for the Agency’s work. EIO also provides strategic support for the Executive Director’s agenda. Prior to assuming his new role, Mr Varro served as IEA Head of Gas, Coal and Power Markets. In this post he was responsible for gas market and supply security analysis, LNG markets, gas market reforms and infrastructure policy. He led the Electricity Security Action Plan, the IEA work programme that provides comprehensive coverage of the policy, market design, infrastructure regulation and investment aspects of maintaining electricity security during the transition to a low-carbon power system. Before joining the IEA, Mr Varro was the Director for Strategy Development at MOL Group. From 2000 to 2005, he worked as the Head of Price Regulation at the Hungarian Energy Office. A Hungarian national, Mr Varro started his career at the National Bank of Hungary after completing his graduate degree at the University of Cambridge and the Corvinus University of Budapest.